In the course of 10 years following the Great Recession, Amy Mangan and her family had moved six times, she and her husband and lost three jobs, her son and daughter were diagnosed with life-altering chronic health conditions requiring daily, sometimes hourly, medical care, her father and mother-in-law died, and her mom had a stroke that sent her from her home to an expensive assisted living facility. To top it off, her dog died, too. Life got so hard that she tried to drive her car into a lake. Then she realized there is always something that lies ahead. Below is an excerpt from her memoir, This Side Up: The Road to a Renovated Life. The lake was dry, but I was emptier, sitting on a grassy slope near the shore’s edge. I was in my car, an aging one-hundred-and-fifty-four-thousand-mile Chrysler Sebring that hesitated when the ignition was turned on, and which I intended to fix, but had other debts first to pay. It was a Tuesday night in April that was hot, more like the wool blanket of August which typically enveloped this stretch of rural North Central Florida. The lake’s remaining water, twelve feet at its deepest, rippled as the sun slowly sank beneath it, as if to wave and invite me in. All I needed to do was put my car in drive and submerge into the darkness. I had gone for a ride to clear my head after a long day of fighting battles I was too sapped to face anymore. Clutching the steering wheel, I told myself I’d be okay. Things would get better. Words I’d repeated to my family for the last seven years since we had lost almost everything—jobs that protected us, a home that gave us shelter and fulfillment, health we once took for granted, financial security with hope for our future, and a marriage now shattered like our wedding champagne flutes that had broken when the box they were in fell off the moving truck as we moved to another rental, five houses earlier. I just needed some space to breathe for a bit. But, a bit turned into hours as I drove north, then east, then west, then north again. It was a familiar route through rolling green pastures dotted with thoroughbred horse farms, moss-covered oak trees and a lake depleted from its former beauty. I had traveled this road as a little girl with my father when we’d go to University of Florida football games. I rode shotgun, a warm bag of boiled peanuts on my lap. Years later, I rode shotgun again, this time with my new boyfriend who opted to drive us an hour north for dinner in Gainesville giving us more time to get to know each other. It worked. We married a year and a half later. On this highway an ambulance had rushed me to deliver my premature son to the university’s teaching hospital. The same hospital I’d return to with him twenty years later. The same hospital whose emergency room I had sped to in the middle of the night to be with my daughter. Why didn’t I head south? This path was paved with too many memories piercing my heart with every mile that I drove. My life had been turned upside down since I fell in love with a man who’d take the long way to dinner just to spend more time with me. Who shared my dreams of making a home and a family and setting down roots in the town where we were born. My hope had disappeared with the other dreams of over two hundred million Americans who were impacted by the country’s 2008 economic crash from which pundits said we were recovering. I wasn’t so sure. It was the crash that depleted everything I knew to be true and launched a hundred new problems I was ill prepared to fix. A collapse that catapulted me into an often macabre nomadic lifestyle, never being able to stay put in one place no matter how hard I tried. Years of my personal drought had taken their toll. My eyes stung with tears as the late afternoon evaporated into night. Life was not going as I had hoped. That should be my theme song, I thought driving north. What rhymed with hoped? Coped? Doped? The radio could offer better options. A Broadway song from “The Secret Garden” was playing, not my first choice for a dramatic anthem. The soprano mourned having to leave her loved ones. Not funny, I said aloud, as I turned right onto a country road pulling me toward a stranger’s house by Orange Lake. By the time I reached the lake, it was just light enough for me to see that this once-rich basin of life had been affected by the harsh elements of an extended dry spell. I remembered reading about it in the local newspaper in interviews with business owners around the lake who had suffered losses during the parched years. Often I thought of how so many Americans had become part of a rental nation, leasing homes, lives and short-term stability until the next crisis hit. Home became a euphemism for the life I had dreamed of, not the one I lived. And I knew all about home. I wrote about it extensively in a past life as a home and garden editor. Once, I was a writer. And a wife. And a mother who’d make “Just Because” homemade cupcakes to celebrate an ordinary day with two beautiful children. Now I was incapable of keeping them healthy and whole. Looking in the rearview mirror, I didn’t recognize the woman who used to be all those things. The view behind me was blocked, literally, with large moving boxes stacked up to the top of the car. I’d picked them up from a packing store in case our current landlord decided he would not be able to let us rent for another year. We’d already negotiated an extra year when we’d extended our lease last summer. I couldn’t imagine packing again. I was drained, weary from fighting to stay afloat while trying to plug the oceanic hole of yet another challenge in front of me. But the lake was in front of me, too. “How could I know I would have to leave,” sang the musical’s desperate heroine on the radio. How could she? How could I? Turning off my cell phone, I could only think of the collective misfortunes of my life. I questioned if I had made them better or worse. And I thought of my family. My husband. My sweet, tender and resilient son and daughter. They had been through so much. So much unsolicited pain. Numbed by the anesthesia of grief for the life I could never seem to adequately manage, I chose the only path right in front of me. I put the car in drive. Passionate for living a well-designed life, Mangan spent a decade writing about “picture-perfect” homes for several publications including Better Homes & Gardens, Southern Living, and Southern Accents. A former national home and garden editor, she has a regular column in the Ocala Star-Banner. Her memoir, This Side Up: The Road to a Renovated Life Life is available in paperback and e-book editions through Amazon and other retailers. 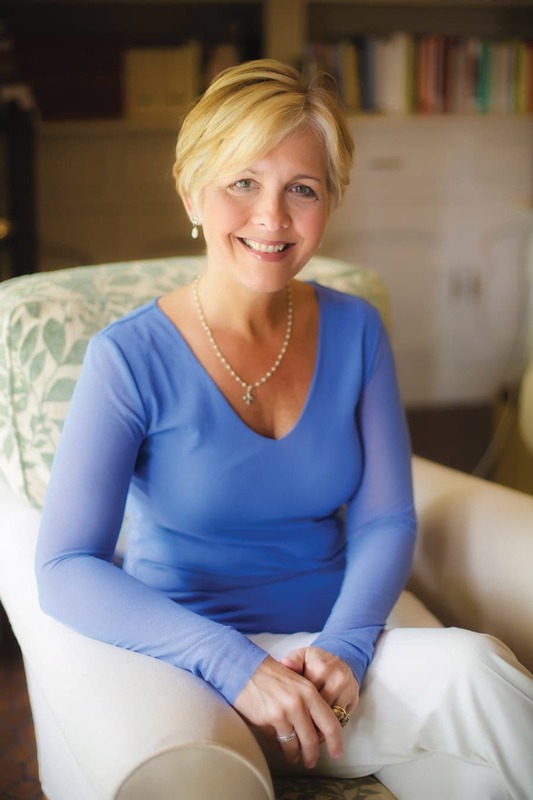 Passionate for living a well-designed life, Amy Mangan spent a decade writing about “picture-perfect” homes for several publications including Better Homes & Gardens, Southern Living, and Southern Accents. A former national home and garden editor, she has a regular column in the Ocala Star-Banner. Her book, This Side Up: The Road to a Renovated Life, is available through Amazon and other retailers.